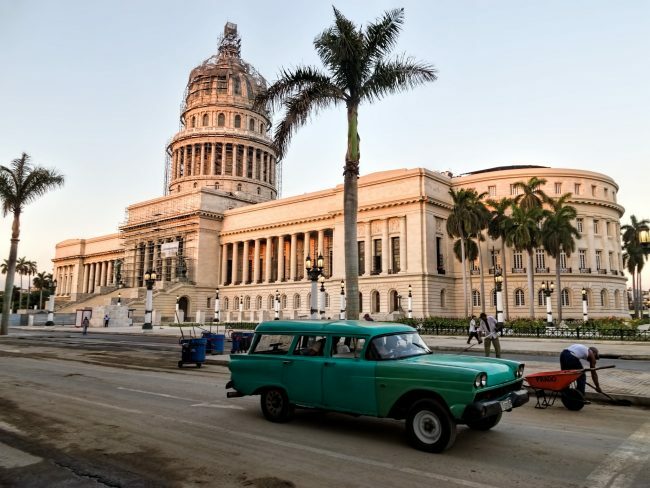 Maquinas – as old American cars from the 1950s are known in Cuba – are so important in the city’s transportation system that a single day without their services would be absolute chaos. Be it local cab rides or long interstate trips, they’ve been compensating for the state-run transport companies’ shortcomings for years. 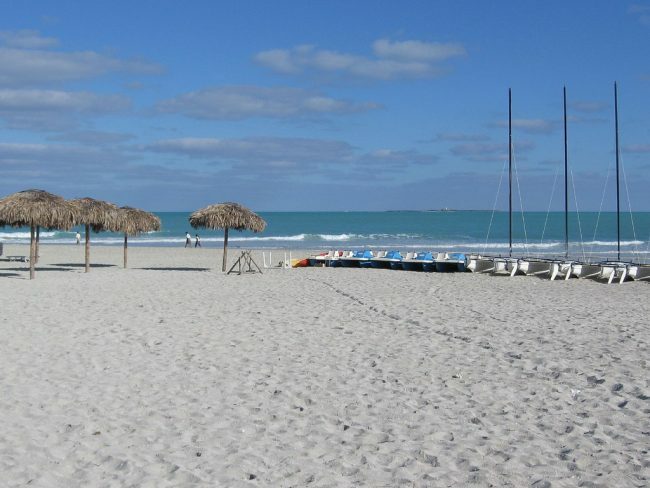 While not for everyone, the adventurous traveler should include them in their visit for an authentic taste of Havana. The presence of these cars in the local landscape has developed its own culture, which is constantly evolving and renovating. 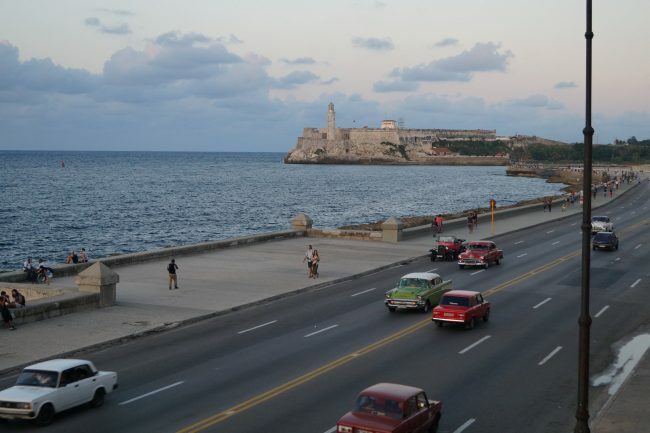 Tensions between the United States and Cuba in the early 1960s following the 1959 Revolution resulted in a trade embargo that stopped imports of new cars to Cuba. Consequently, the majority of the maquinas in Cuba are from the 1950s or older. 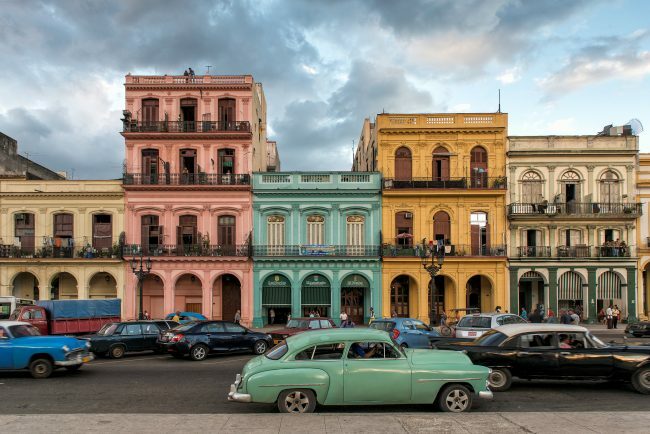 Maquinas first appeared following the economic crisis of the 1990s as “taxis for Cubans,” – the counterpart of a fleet of yellow cabs that only foreign tourists could afford. 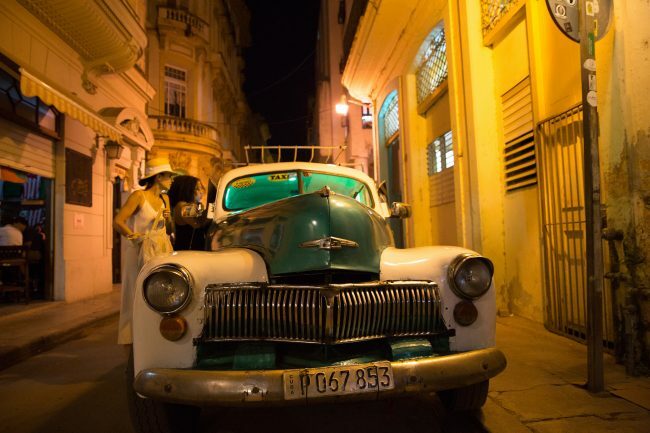 The yellow cabs had another inconvenience: the price of the ride was only revealed at the end of the service when the meter stopped, an expensive risk that most Cubans couldn’t afford to take. Meter-less maquinas for customers on a tight budget – with prices agreed beforehand with the driver – thus became the best option for the locals. 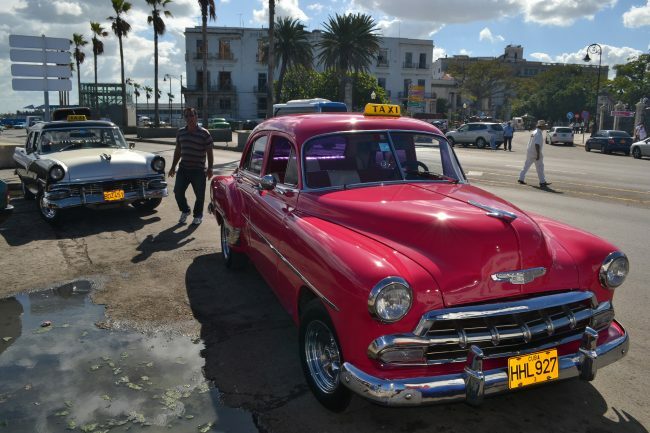 For a while, there was also a regulation that prohibited that maquina drivers gave services to non-Cuban clients, contributing to increased segregation between rival taxi services. Today, they are so popular that they have risen to the level of tourist attraction, though they are not to be confused with luxury vintage convertibles – only hard top cars are referred to as maquinas. Shared taxis are like small buses covering fixed routes, with the difference that they will pick up and drop off customers on demand. This is the hardest type of service to use for anyone who’s not from Havana, both foreigners and Cubans, because it requires previous knowledge of the lines covered, the routes used by each line and the places where they can stop, etc. These cars are normally identified with a TAXI sign, and are likely be carrying other customers. The procedure to hop in is easy: you need to be standing at a place where they can stop, flag the vehicle down and ask if they are going near your required destination. They normally cost between 10 CUP (around $0.50) and 25 CUP ($1.00). Express or direct taxis (“taxi directo” in Spanish) are more akin to the international idea of a taxi service. In these, it’s the customer that sets the destination, however the driver is still not obliged to take you if he chooses not to. The price needs to be agreed in advance with the driver (remember maquinas have no meter), for which there are no real standards. They can go from five CUC for short rides to 30 CUC and over, so make sure you’ve agreed a fare before the journey. Maquinas are very popular for beach trips because maquina drivers are less concerned with sand and wet bathing suits in their cars than regular taxi drivers! It’s common for them to take groups of tourists to the beach and agree a pick up time to collect them. 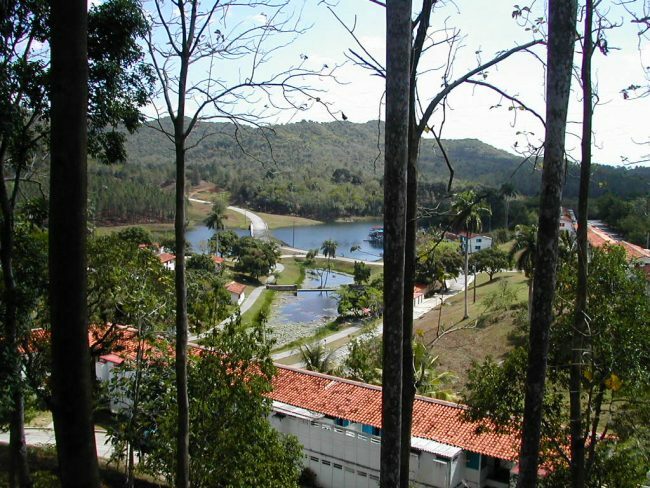 If you are staying at a casa particular (privately-owned accommodations), landlords are normally connected to drivers providing this kind of service. Another service commonly offered by maquinas is the airport transfer. The drivers specializing in these rides tend to be punctual, patient and helpful. They cannot be at the airport as regular taxis advertising their services, so if you want to be picked up by a maquina you will have to ask the landlord of your accommodation to send one for you. Getting a maquina for your return flight is easier, and they are especially recommended if you need to be picked up early in the morning. Although there are bus services covering popular routes daily between Havana and other provinces, maquinas could be an option if you are struggling to find appropriate tickets. Not all maquinas give this kind of service – you cannot wave at a maquina in the street and expect to be taken to Varadero or Viñales. For these trips, it’s easier to find a car if you go to the pick-up area outside the National Bus Station, near Revolution Square. Express taxis will be more expensive for interstate trips, with prices that can go over $100, while shared rides will cost from $30 to $60 per person, depending on the destination.